Kristof Vande Velde is the winner of the February 2017 Monthly Theme Contest. 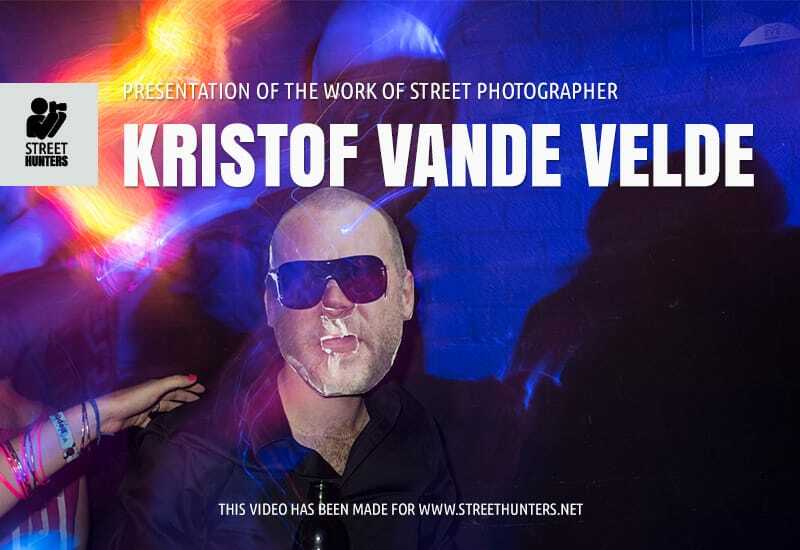 If you haven’t stumbled upon Kristof before, he is a street photographer from Belgium. The theme of the month when Kristof won was “Surrealism” and his image was selected from a pool of 59 surrealism themed street photographs! Since January we have introduced new prizes for the winners of these monthly theme contests. All prizes aim to give the winners massive exposure on our website and our social profiles. But what are those prizes? First of all Kristof’s winning shot was the cover image for our Facebook page, our Twitter page and our Google+ page for the month of March 2017. Secondly we promoted the blog post announcing his win on all our Social channels. In addition to the above, a few days ago we interviewed him and presented a selection of photos from his extensive body of work. The final stage of the exposure prizes is to create a video slideshow of 50-80 of his favourite photographs and share it with our 11K subscribers on our Youtube channel. So here is it Street Hunters! Some of Kristof Vande Velde’s best work to date. Give it a look and like and share! Stay Sharp & Keep Shooting! Spyros Papaspyropoulos is passionate about Photography, especially Street Photography. Because of that passion he considers himself a Street Photographer. If you would like to see his work you can also visit his Street Hunters Profile. He is co-founder of Street Hunters.